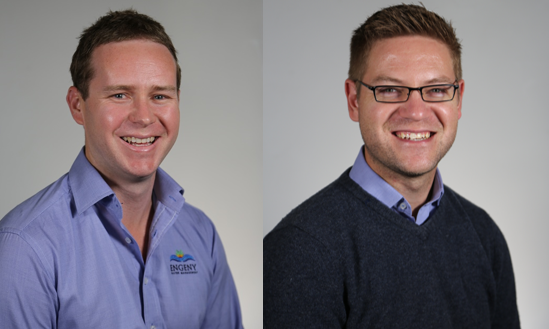 Engeny is proud to announce the recent qualification of Principal Engineer David Sexton as a Registered Professional Engineer of Queensland (RPEQ) and of Principal Engineer Sean Frazer as a Chartered Professional Engineer (CPEng) and RPEQ. RPEQ is a legislated title awarded by the Board of Professional Engineers of Queensland while CPEng is a competency assessment administered by Engineers Australia. These qualifications are a formal recognition of the competency, dedication and reliability of an engineer. Congratulations to David and Sean for all their hard work.